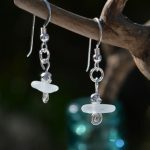 A lovely pair of Sea Foam sea glass earrings dangling from sterling silver hooks. 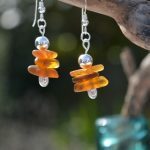 Each piece of glass is approximately 1.5cm long. 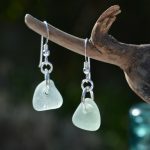 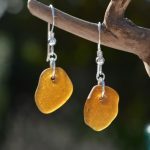 No two pieces of sea glass are identical, allowing every pair of earrings to be completely unique. 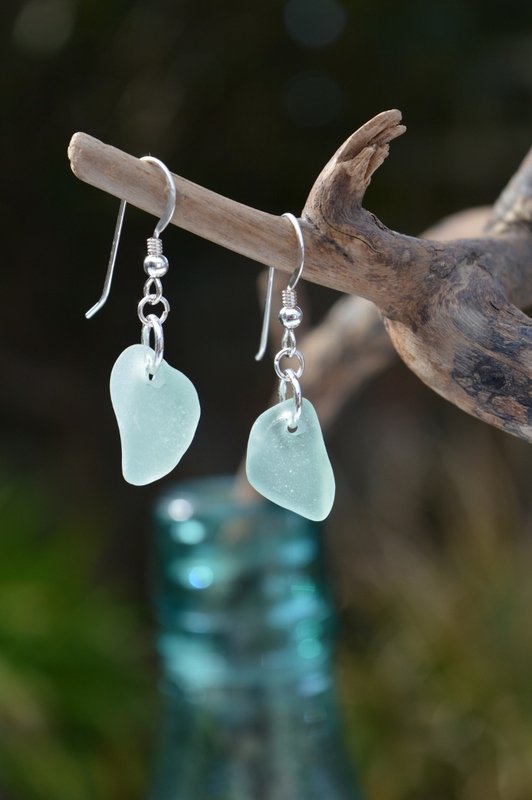 Please click on the “sea foam sea glass” link below for items to match the above….